Lemony Snicket's beloved book series looks to finally be getting the visual attention it deserves. The day before the premiere of Netflix’s A Series of Unfortunate Events is looking sunny for the Baudelaire orphans, due to good reviews they would undoubtedly be extremely skeptical of. Unfortunate Events, which follows Violet, Klaus, and Sunny Baudelaire, a much-maligned trio of orphans, is based on the beloved series of books by Lemony Snicket (the pen name of author Daniel Handler). The Baudelaires’ misfortunes will premiere on January 13, and early reviews say the show is, well, pretty good. Variety writes that the show “is a bewitching modern fairy tale, with all the hexes and perils that pretty genre implies,” which pretty much sums it all up. The story of the Baudelaire children and their unfortunate series of run-ins with the dastardly Count Olaf got a less-than-fantastic film in 2004 (some might call it “criminally awful”), but it seems that the show is looking to redeem it. While Entertainment Weekly admits that Unfortunate Events isn’t perfect, it receives high praise. Sonnenfeld directs five of the eight installments, and he tackles the lost opportunity with a vengeance. It’s his best work in years. The sets are massive, expressionist expressions of personality and chockablock with details. Sonnenfeld’s blocking of actors, camera moves, and compositions crackle with creativity and energy; it feels like a musical, and not just the occasional musical scenes. Unfortunate Events walks a tightrope of making light of child endangerment and the other serious-minded themes it sweeps up – grief, loneliness, capitalism, class and creating subversive allegory about those things. Harris, absolutely marvelous as Olaf, embodies the effortless ease of that tricky navigation. 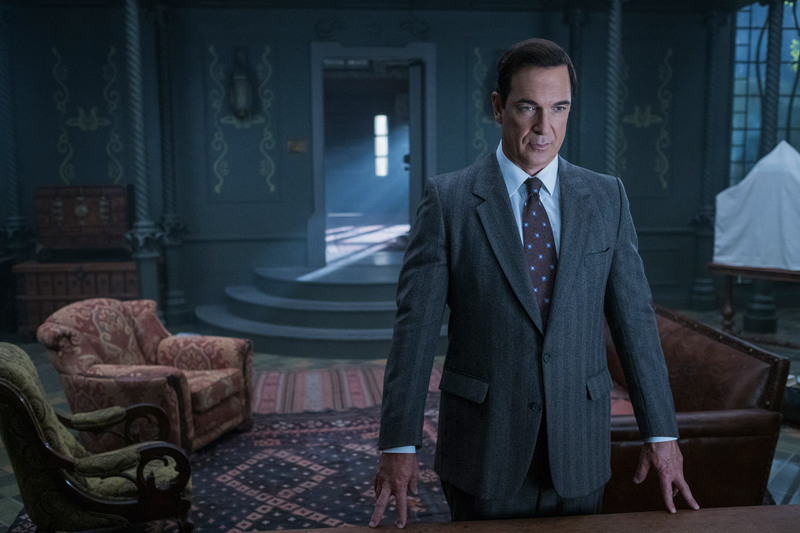 The Verge assures fans of Lemony Snicket’s series that the show closely follows the books. Netflix’s series follows the text almost verbatim, which is a double-edged sword. The heavy use of narration is an iconic aspect of the novels, and for longtime fans, it’s great to see it on-screen. But it also serves a crutch, allowing the script to tend toward rambling exposition dumps that tell the story rather than show it. The devotion to Handler’s source material is certainly gratifying for series devotees, but it can be a lot for new viewers to take in. Early on, the character doesn’t feel like a menacing villain — he’s just clearly Neil Patrick Harris wearing scary old-man makeup. His delivery and mannerisms are almost unchanged from those of say, Barney Stinson… However, by the third episode, as Olaf’s schemes get more ridiculous, Harris’ hammy performance works in his favor. After Harris and Warburton, the actual Baudelaires are less important to the overall story. They’re basically walking plot devices. Violet (Malina Weissman, an apparent clone of Emily Browning, who played the film Violet) — and Klaus (Louis Hynes) are the only real characters of the trio, since Sunny is a toddler. But both children do their jobs well, portraying a sense of pluck and upbeat perseverance that make it easy to root for them. The Hollywood Reporter gives props to Sonnenfeld and production designer Bo Welch. How perverse to feel such glee amid such gloom. But there’s something about Handler/Snicket’s downbeat worldview that always intrigues and attracts, perhaps because it comes off as an invitation to engage more fully with life rather than run from it. Meanwhile, ace production designer Bo Welch, who also directed the two-part season finale, has an imaginative, eye-popping field day with the sets — a nice mix of practical and CG elements that bring to life everything from a creaky shack perched perilously atop a cliff to an evil optometrist’s office located in an ocular-shaped metal tower. It’s dark. The most difficult element of “A Series of Unfortunate Events” is also the essence of its charm — its straightforward, unadorned recounting of the terrible things children are vulnerable to, precisely because they are young, innocent, and supposed to mind their elders. Harris has the hardest job of the cast, and he only somewhat carries it off. A Series of Unfortunate Events Season 1 will be available to stream on Netflix on Friday, January 13.